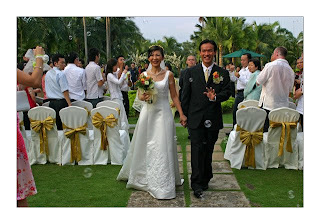 Got married to my kampung boy 4 years ago today. Had a wedding of my dreams - a garden poolside wedding. 4 years on - we have 2 kids and a very hectic life. But God has been good to us and we thank Him for that. I wonder what it would it be like six years from now - on our tenth annivesary. 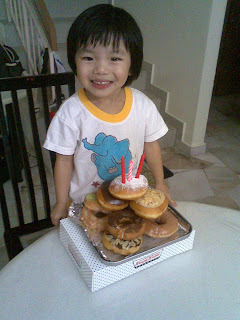 We celebrated John's birthday at home with a krispy kreme doughnut cake. Arielle enjoyed the blowing of candles and cutting of the cake the most.